How can some old salvaged lumber and a little friendly competition help address the houseless crisis? 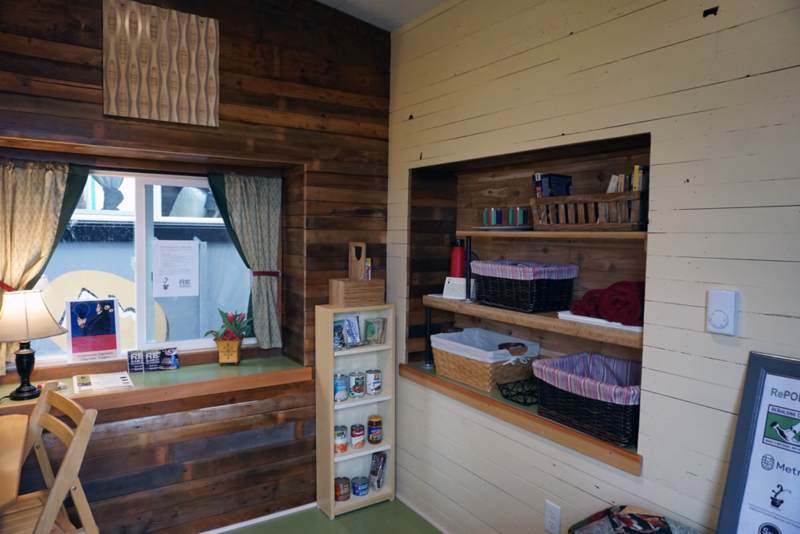 The Reclaimed Pod (“RePod”) entry in the Kenton Women’s Village Pod Build Challenge is an example of just that. The Kenton Women’s Village (KWV) is a community of female-identifying residents who are living temporarily in sleeping pods, with access to a fully operational kitchen and shower facilities. It is a collaborative project that addresses houselessness at a small, but replicable and impactful scale. Through Catholic Charities, the women at KWV receive access to comprehensive services. Since opening in 2017, 20 women that have stayed in the village have moved into permanent housing. Our challenge entry, the “RePod,” is unique in that it represents the local reuse community. In partnership with Metro and the City of Portland Bureau of Planning and Sustainability, the RePod is built with salvaged materials from the ReBuilding Center and interior reclaimed, hand-made furnishings from Crackedpots. 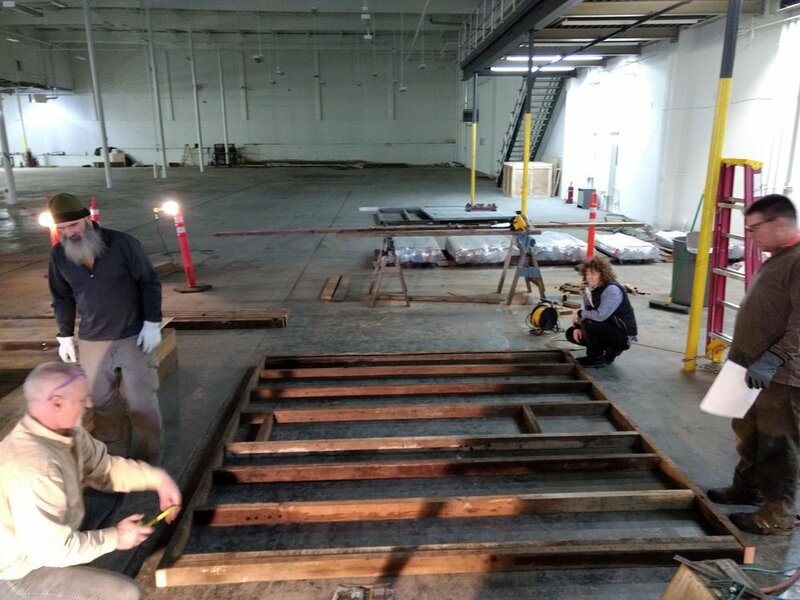 The majority of the reclaimed lumber was salvaged from deconstructed homes in Portland, and will continue to live a meaningful life instead of ending up in the landfill. Salvage Works, Reclaim NW, Parr Lumber, and MetroPaint helped round out the required materials. Christopher Barth donated his electrician skills, and R&H Construction provided a build space and pod transportation. The Pop Out design used for the RePod. This pod was designed by students at Portland State University’s School of Architecture and Center for Public Interest Design. See the photos highlighting the RePod build, from material drop-off to build-out. The final touches will be completed soon, but the RePod team isn’t revealing them yet! To see the final pods from all the teams in the Challenge, join the unveiling celebration on Friday, April 5, from 1:00PM to 2:00PM. There will be speakers and award announcements at Kenton Women’s Village, 2420 North Columbia Boulevard. Update: We have marked the completion of the Kenton Women's Village PodBuild Challenge! Alongside the Bureau of Planning and Sustainability, Cracked Pots, and Metro, we built the pod with over 90% reclaimed materials and to top it off, our "RePod" received an award for best reuse of innovative material! We are honored to have been involved in this project that supports important community work. A huge thank you to everyone who had a hand in the PodBuild Challenge.